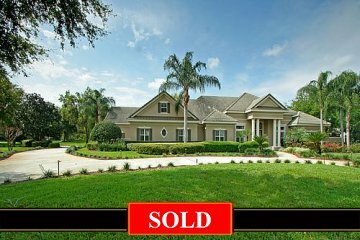 Waterford Pointe is one of Windermere’s most desirable gated communities boasting estate homes on large (minimum) one-acre lots affording maximum privacy. The community has a very impressive entrance with a dramatic waterscape and tall fountains beside an attractive brick gatehouse which is manned 24-hours 7 days per week to guarantee maximum security and privacy. All residents of the community have access to a ski-lake from a private boat launch area within the community, where fishing and water sports can be enjoyed by all. 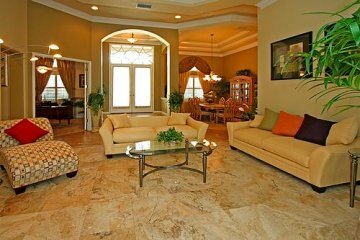 There is a spacious Club House with room for private parties, Tennis Courts and a children’s playground as well. 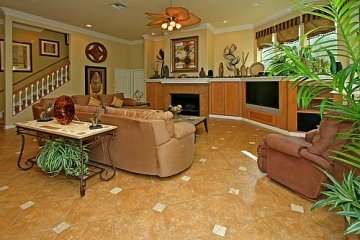 This amenity-rich community is family friendly and quite prestigious. 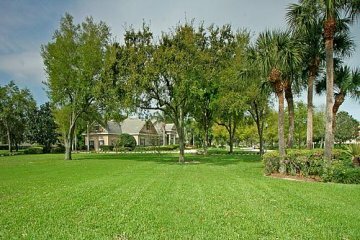 This stately residence is prominently positioned on an approximately 1.25 Acre corner lot. 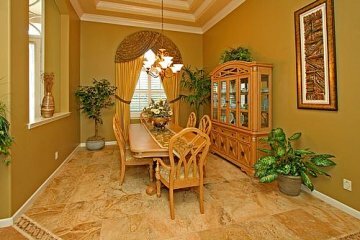 What is special about this home is that there is the opportunity to expand the residence and build on, which is especially attractive, in this day and age, when so many couples have a need for home offices. The residence sits deep on the lot and enjoys an impressive front elevation which is framed by a mature landscape, with a wide circular drive to the front and side rear. 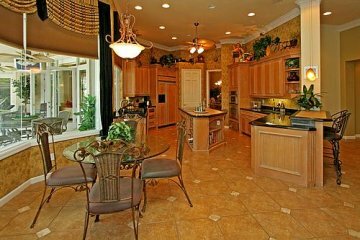 The property has been renovated with all of today’s finishes and upgrades, including extensive use of Italian tile and marble flooring, decorative triple-crown molding, architectural ceilings, a gourmet Kitchen with an abundance of detailed cabinetry, stainless steel appliances, and “miles” of granite counter tops – also marble flooring! 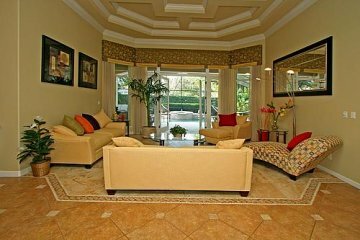 The residence consists of 4 bedrooms, a study/library with closet and bath access, formal living room, dining room, a 25’ family room opening to a 21’ kitchen with beautiful breakfast area overlooking a large pool/terrace area through a “greenhouse” style window. 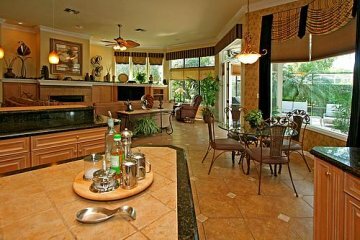 The kitchen, which opens to the family room, features beautifully detailed cabinets, “miles” of granite counter tops, and a pass-through window to the terrace. The moment you enter the home through its double door glass entry, you will see through the formal living room and catch a glimpse of the spa and twin fountains through its double doors. 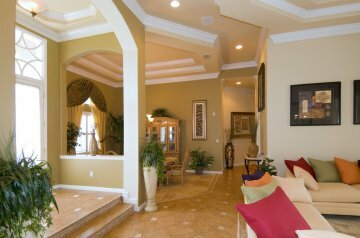 One entire wall of the family room features a custom-designed entertainment center with a large screen T.V. 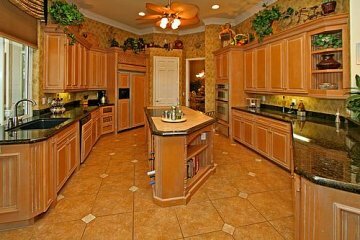 and an abundance of cabinets. 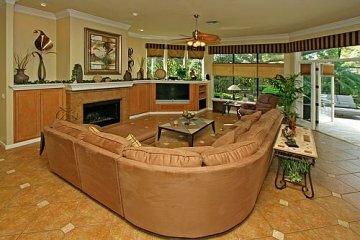 The family room is well lighted with many tall windows overlooking a lush landscape. 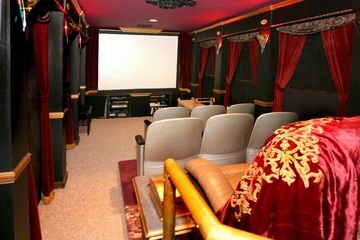 An open staircase leads from the family room to the Theater which offers a half-bath, microwave and refrigerator for those who love to snack during the movies. 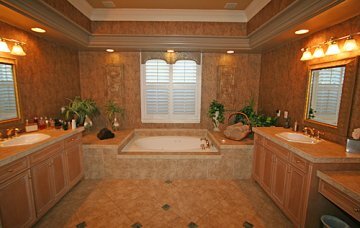 The master suite is located to the right of the floor plan and boasts twin “his” and “hers” closets and a very spacious marble bath with large shower, tub with jets, water closet, double vanities – all of which is framed by decorative molding. 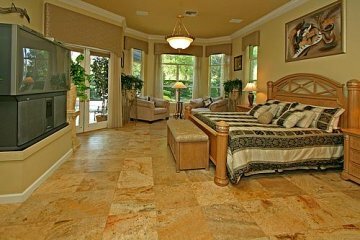 The remaining three bedrooms are located on the opposing side of the floor plan which affords maximum privacy in the master suite. 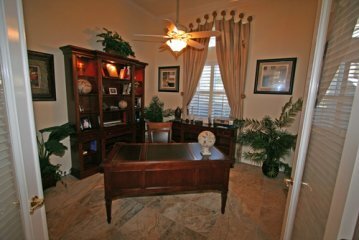 A handsome library/study is located near the master suite. The entire rear of the home has glass window/walls and French doors opening to the pool/terrace area which boasts stone flooring. 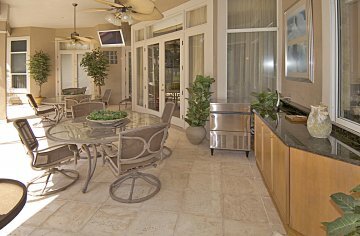 You and your friends will enjoy relaxing all year long in the heated (solar and gas) pool and spa or cooking outdoors. This is an exceptional opportunity. The lot is beautiful ! The community is very desirable! There are amenities for all ages ! Attractively priced by a motivated Seller.